There is an interesting phenomenon going on, even while doom & gloom bloggers predict gigantic Tsunami’s of foreclosures heading our way. The following is excerpted from an article out of Texas this week. “Every week, new home sellers are hitting the market, basing their initial asking prices on recent contracts, sales, and other active listings, and influencing active market prices. And what does this have to do with foreclosures? It provides a glimpse into housing market psychology. Homeowner Henry down in Texas is underwater in his mortgage, or at a minimum, feels some personal economic strain. He’s trying to determine if he’s in a walk-away situation or not, with his decision metrics at least partially based on his local housing market conditions. As Henry starts to see active houses sell quickly, get multiple bids, and fetch a decent price, he starts to think – “Hey – maybe the market’s not so bad. Things are starting to sell at a good price. I’m going to hang on for another couple of months. I don’t really want to move anyway, and if the market is improving, I can start to gain back some of that on-paper loss.” Aggregating this behavior and market psychology yields fewer delinquencies and foreclosures in the short run. Looking at delinquencies rates and housing market conditions in 2009, the peak in delinquencies were exactly correlated to the trough in home prices. As the 2009 housing market strengthened and prices accelerated through the Spring, delinquencies fell simultaneously. And speaking of Texas, Steve Brown of the Dallas Morning News published “Dallas-Fort Worth home foreclosure filings drop 12%” today in which he writes: Home foreclosures have turned lower for next month’s forced sales. The 4,861 Dallas-Fort Worth homes scheduled for foreclosure in May represent a 12 percent decline from year-earlier totals. And foreclosure filings are down 21 percent from the recent peak in March, Addison-based Foreclosure Listing Service said Thursday. His article also provides some local data points of foreclosure rates by county in the Dallas Metro area. Home foreclosures have turned lower for next month’s forced sales. The 4,861 Dallas-Fort Worth homes scheduled for foreclosure in May represent a 12 percent decline from year-earlier totals. And foreclosure filings are down 21 percent from the recent peak in March, Addison-based Foreclosure Listing Service said Thursday. This is a big reason why you shouldn’t be paying as much attention to dire warnings from doom & gloom bloggers, about huge waves of new foreclosures on the horizon. As distressed homeowners – especially in the lowest price ranges – see their local markets improving, they are far more likely to hang in there, instead of giving up and going through a credit destroying foreclosure. And because in some areas – such as my Orange County – the lower price ranges have actually increased in value by over 10% in the past 14 months, many who were considering a short sale can now actually have an equity sale, which has even stronger demand ( read higher prices.) from today’s throngs of willing buyers. If you are a homeowner who thinks that you’re underwater, you just might have another think coming. Why is there such a fierce debate about whether the housing market is slowly healing or heading for another free fall? Partly because no one can estimate with much confidence how many foreclosed homes banks need to sell or how fast they are getting rid of all that property. A huge chunk of today’s housing supply comes from homes that have been acquired by banks or mortgage investors through foreclosure, plus those that are being offered by people who hope to avoid foreclosure by doing “short sales,” selling their homes for less than the mortgage balance due. The National Association of Realtors estimates that such “distressed” situations accounted for 35% of home sales in February and March. The latest heroic attempt to tally how many foreclosed homes are available for sale comes from analysts at Barclays Capital in New York. They estimate that banks and mortgage investors including Fannie Mae and Freddie Mac owned 480,000 homes at the end of February. That’s far lower than previous estimates. Barclays explains that it has acquired more data on mortgages and refined its methods for analyzing foreclosure trends. Under the bank’s previous methods, the estimate for February would have been more than 600,000. Estimating the inventory of foreclosed homes is tricky because thousands of banks and others that own the properties disclose those holdings in varying ways, if at all. RealtyTrac Inc., another data provider and one of the few other firms that regularly makes such calculations, estimates that banks and mortgage investors own 758,000 foreclosed homes. So we have a pretty big gap. Is it 480,000 as Barclays thinks, or 758,000, as per RealtyTrac? Tom Lawler, an independent housing economist who tracks reams of housing data when he isn’t tending the livestock on his farm near Leesburg, Va., figures the total is more than 550,000 but probably less than the RealtyTrac estimate. Whatever the number of homes that banks, the federal agencies and private mortgage investors own now, it’s likely to increase. Barclays expects the inventory generally to rise over the next 20 months, peaking at 536,000 in January 2012, and then decline gradually. To get a rough sense of how many more households will lose their homes to foreclosures or related actions, Barclays tallies what it calls a “shadow inventory,” consisting of homeowners 90 days or more overdue on mortgage payments or already in the foreclosure process. At the end of February, 4.6 million households were in that category. Barclays expects 1.6 million “distressed sales” of homes – mainly foreclosures or short sales – both this year and in 2011, then a slight decline to 1.5 million in 2012. Last year, Barclays estimates, such sales totaled 1.5 million. Around 30% of all home sales this year and next will be foreclosure-related, forecasts Robert Tayon, a mortgage analyst at Barclays, who says that would be only about 6% in a normal housing market. Barclays expects U.S. home prices on average to fall another 3% to 5% over the next couple of years, adding to a decline of about 30% already recorded since 2006. 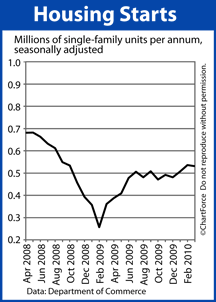 That forecast assumes a gradual improvement in the unemployment rate to 8% within the next two years from 9.7% in March. The home-price picture would worsen if job growth sputters or banks “push homes through the foreclosure pipeline faster than expected,” Mr. Tayon says. Efforts to avert foreclosures by offering many borrowers lower payments have slowed the flow of homes into bank ownership. In some parts of the country, such as the Las Vegas area and Orange County, Calif., that has left bargain-hunters frustrated by what they see as a shortage of bank-owned properties in attractive neighborhoods. In the Las Vegas area, foreclosed homes accounted for 56% of sales in March, down from 73% a year earlier, according to MDA DataQuick, a research firm. 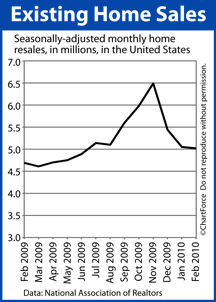 More evidence surfaced today that home-loan defaults and foreclosures are receding from historic peaks seen a year ago. However, the pace of defaults and foreclosures remain high, especially in areas where lower-cost homes predominate.MDA DataQuick reported that lenders filed 81,054 notices of default in California during the first quarter of 2010, down 4.2% from the previous quarter and down 40.2% from the first quarter of 2009. DataQuick’s analysis shows that the greatest year-over-year declines occurred in areas with cheaper homes, with smaller declines occurred in pricier areas.“We are seeing signs that the worst may be over in the hard-hit entry-level markets, while problems are slowly spreading to more expensive neighborhoods,” DataQuick President John Walsh said. 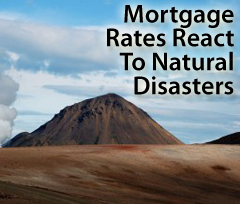 Statewide, the default rate was 9.3 notices for every 1,000 homes. That compares to a default rate of 10.5 notices in ZIP codes with median home prices below $500,000 and 4.5 notices in ZIP codes with medians above $500,000. Defaults fell nearly 43% from a year earlier in ZIP codes with median home prices of $500,000 and below. But they fell just 19% in ZIP codes above the $500,000 median level. Southern California defaults fell 44.4% to 44,581 in the first quarter. They were down by nearly half in the Inland Empire. Orange County defaults decreased 37.5% to 5,270 in the first quarter, the smallest percentage drop in Southern California. Foreclosures fell 7.5% in the first quarter to 1,985. In the San Francisco Bay Area, defaults fell 30.5% to 13,517 in the first quarter. Home loans were least likely to go into default in Marin, San Francisco and San Mateo counties. They were most likely to go into default in Merced, Stanislaus and San Joaquin counties. California homeowners getting default notices were behind on house payments by a median rate of 5 months. The median amount left unpaid was $14,066. Default rates were below 10% for the state’s most active lenders during the housing boom — Countrywide, World Savings, Washington Mutual, Wells Fargo and Bank of America. Those lenders, nonetheless originated the most loans that ended in default. Default rates for subprime lenders exceeded 65%. 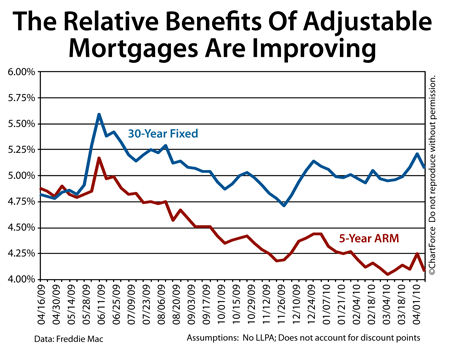 There also were signs that lenders were being more accommodating in seeking alternatives to foreclosure, either by modifying loans or by allowing the home to be sold for less than was owed on the mortgage. For example, the foreclosure process averaged 7.5 months in the first quarter, compared to 6.8 months a year earlier, DataQuick reported. 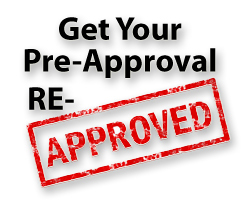 Is It Time To Re-Approve Your Pre-Approval? As the federal home buyer tax credit nears its April 30 end-date, there’s a lot of would-be home buyers still working to get under contract. Comments Off on Is It Time To Re-Approve Your Pre-Approval?